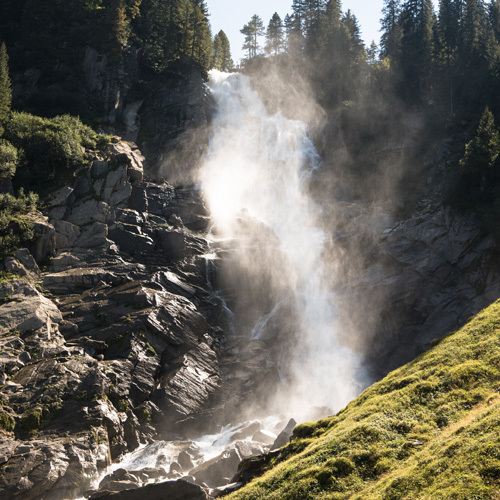 With their impressive waterfall drop of 380 m the Krimml Waterfalls are the fifth highest waterfalls in the world. With approx. 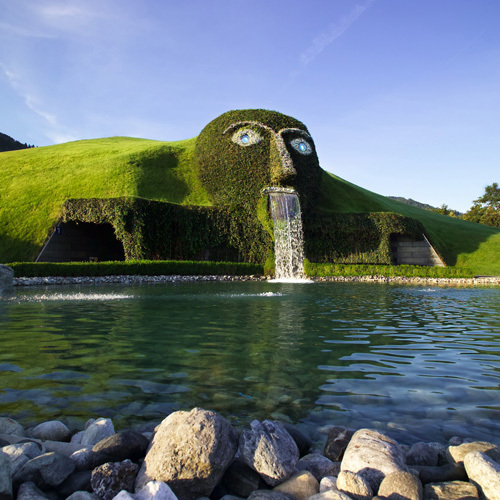 350,000 visitors each year they are one of the most visited tourist features in Austria. A hiking trail built by the Austrian Alpine Association (OeAV) makes it possible to get very close to this breathtaking nature spectacle, affording sensational views. Enjoy the refreshing mizzle and the impressive power of the water amidst the gorgeous scenery of the Hohe Tauern National Park. Above the world famous Krimml Waterfalls there is the Krimml Achental valley, the longest and most elevated Tauern valley. Upstream of the top stage of the waterfalls the trail becomes flat, with beautiful Alpine pastures spreading out. A sight to behold are the extensive Swiss stone pine woods growing up the slopes. Some say these are the most beautiful ones throughout the Hohe Tauern mountains. 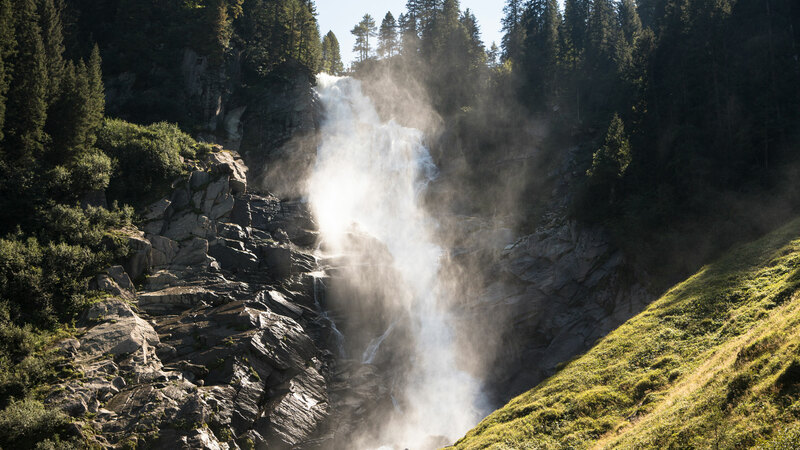 The Krimml Waterfalls – a natural spectacle! Even before the more than 100 years, precisely 11th August 1901, was inaugurated in the Wolfsklamm Stans as “Pearl of the Tyrol country”. Since then, hundreds of thousands of walkers have raised the way done through the gorge. 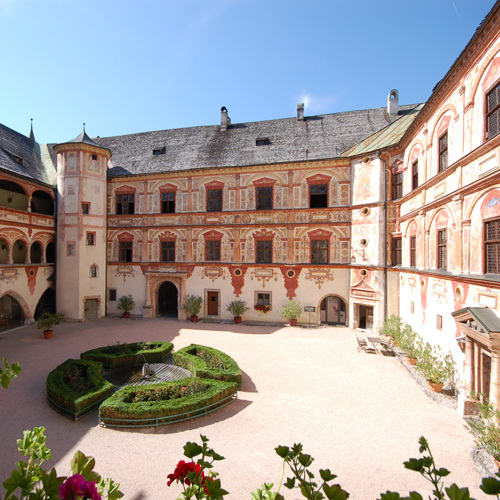 Even older is the monastery: The monastery of St. George – St. Georgenberg – was a mountain hermitage, which was first mentioned in 950 for the first time in writing. 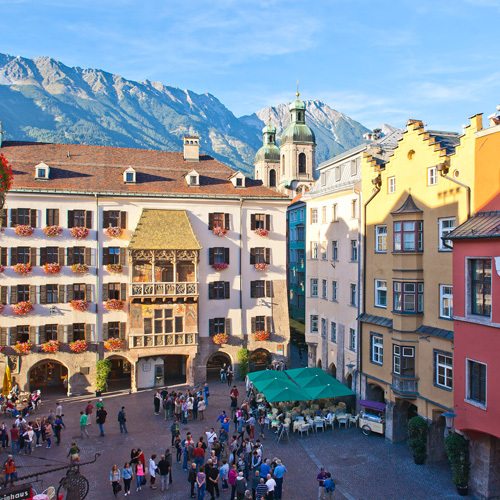 St. George Berg, is the oldest place of pilgrimage throughout the Tyrol. The monastery still exists, it is a place of power and a center of calm. The church is always open and it will be celebrated regularly worship. 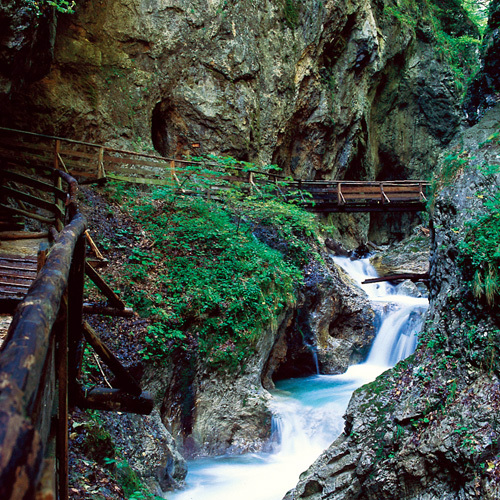 The massive bridge has a great history: The stone arch of 1497 was once the oldest bridge in the Tyrol. Tratzberg Castle is located between Jenbach and Schwaz and was built in 1500 AD by the brothers Veitjakob and Simon Tänzl. It has been mentioned for the first time in the 13th century and is one of the most beautiful castles in the alpine area, dating back to the period between Gothic and Renaissance. On a walkabout in the castle you travel through time back to the medieval. Among other interesting exhibits you can also visit the room of the queen and the armory. Special guided tours are organised for children, which allow children to meet the mascots Tratzi and Adele! By the way: The pick-up train “Tratzberg Express” plyes between Schlosswirt and the Castle on a regular basis when the historic building is open to the public. The Museum of Tyrolean Farms (German: Museum Tiroler Bauernhöfe) is an open-air museum in Kramsach. The museum has around 30 historic farmsteads and other historic rural buildings as well as their associated barns, sheds, alms and storehouses. The museum farms are arranged along a valley that broadly represents the geographical situation of Tyrol. The farms are open and accessible and some of them are historically furnished and equipped. In each farm there is a detailed description of its construction, age and original location. As well as farms, the museum also has a school, a shooting range, a watermill, a smithy, a fire station and a public baths. 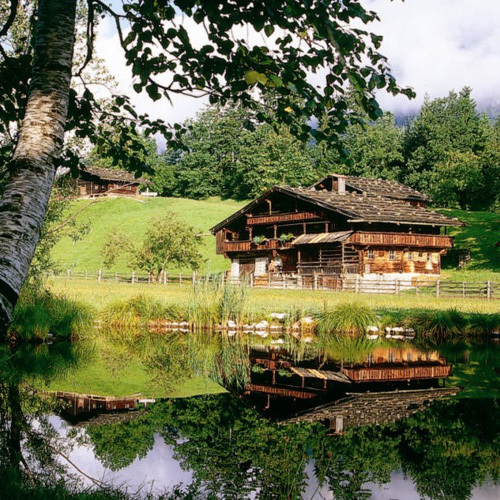 The oldest farms are the Tierstaller from South Tyrol, a farmhouse with a Paarhof layout from before 1500 and the Alter Segger from East Tyrol with roots going back to the Middle Ages around 1400. The highest located zoo in Europe presents more than 150 animal species. 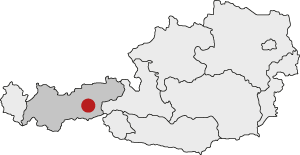 The Alpenzoo Innsbruck is not only known in Tyrol, but also far beyond its borders. This zoo is located in impressive position at the foot of the Nordkette mountain range fringing Innsbruck and provides an insight into the alpine animal world. Besides it offers a great view on the fascinating mountains as well as the city. 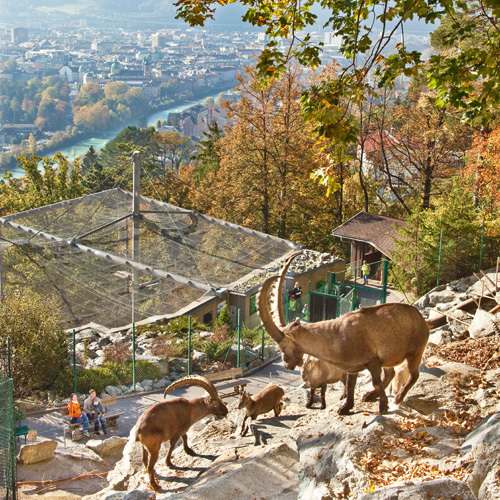 However, the zoo high above Innsbruck features more than 2,000 animals of 150 species. Almost all animals can be observed also in winter. In spring many young animals come out from behind and of course this also attracts a large number of visitors. A special attraction is also the walkable ibex compound. Moreover there are pygmy mouses, terrapins, marine otters, brown bears, chamois and many other alpine animals. 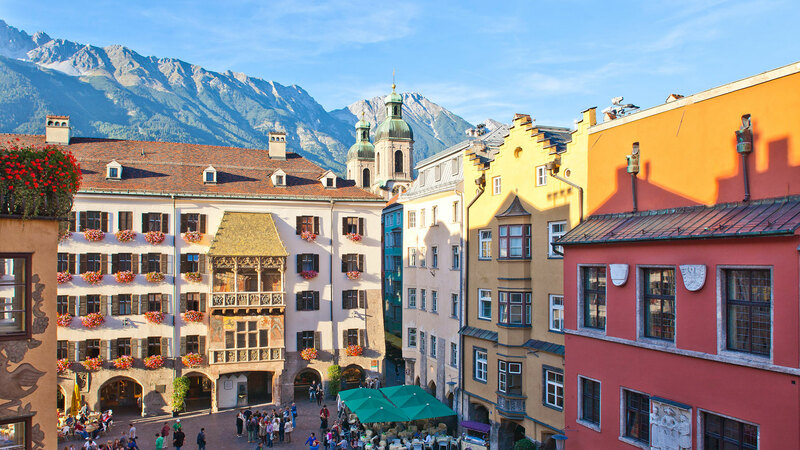 And if you are really lucky you can hear the wolves howle when the church bells of Innsbruck ring. The legends of witches in Hochsöll – even way back in days of old, the area around the Hohe Salve was regarded as “witch country”. The women living there possessed skills in healing and magic and were both revered and feared at the same time. Today they have lost none of their fascination and the spooky tales of the witches and magicians of Hochsöll continue to be retold. What could be a more natural way of restoring vitality than with these primeval, magical places? Those who explore the Hochsöll mountain landscape with their sensory perception level set to high will almost certainly detect, even today, the special magic that has pervaded “witch country” for generations… Nature lovers of all ages will be fascinated by the mystical “Hexenwasser”, which revolves around the theme of “water” in a careful and nature-friendly way. 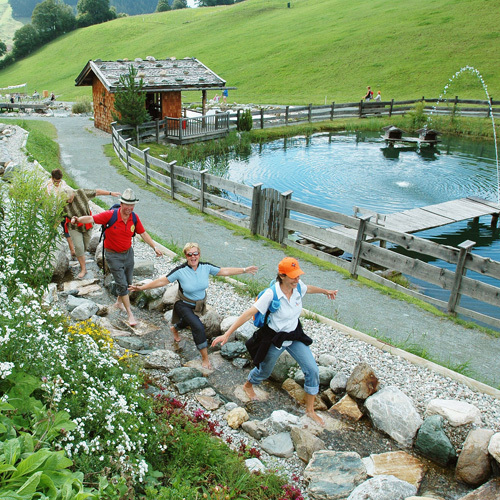 The “Hexenwasser” theme park in Hochsöll (1,150 m) offers more than 30 points of interests along a 450m long path from the cable railway to the Stöcklalm inn. Among the features are Kneipp pools as well as a water path, a bare-foot track, water maze and also an old grain mill. When it comes to the culinary side of things, you will be spoilt by the tasty treats offered by the traditional cosy inns. A cable railway will whisk you comfortably up from Hochsöll to the Hohe Salve peak, where you can enjoy the spectacular view from the rotating terrace. 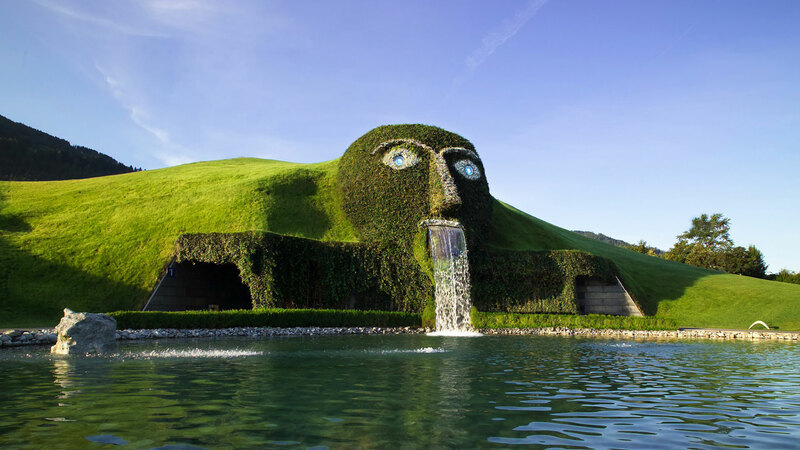 A water-spouting Giant that magically lures visitors into its interior, where Chambers of Wonder ignite beacons of imagination, has managed to become a globally-recognised work of art, while attracting more than 9 million visitors to date. Originally devised as a gift to employees, collectors, customers and partners in honour of the 100th anniversary of the founding of Swarovski in 1995, Swarovski Crystal Worlds, conceived by André Heller, have become a place where people from different backgrounds take pleasure in their astonishment that is as multi-faceted, spontaneous and unadulterated as crystal itself. Also open, a fantastic stage for cultural events, the world’s biggest Swarovski shop in its visionary design and the CAFÉ-terra, where you can enjoy an exquisite selection of food and drink. The creatively designed park invites you to linger a while as well – offering a maze, alpine garden, art objects and panoramic view.